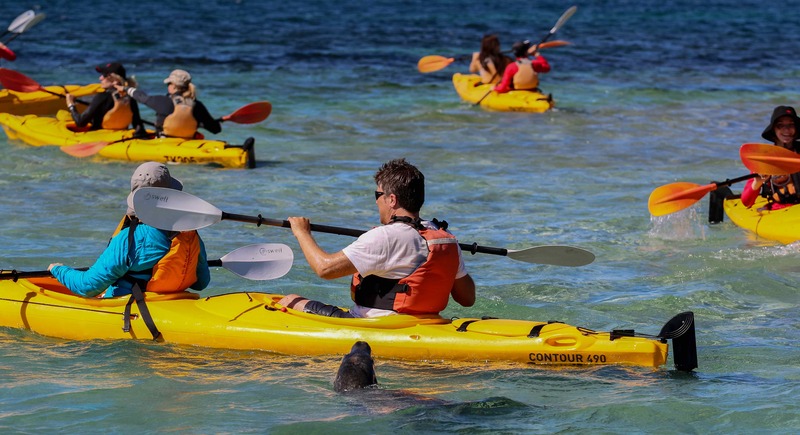 Spend a day exploring Penguin Island and Seal Island by sea kayak. 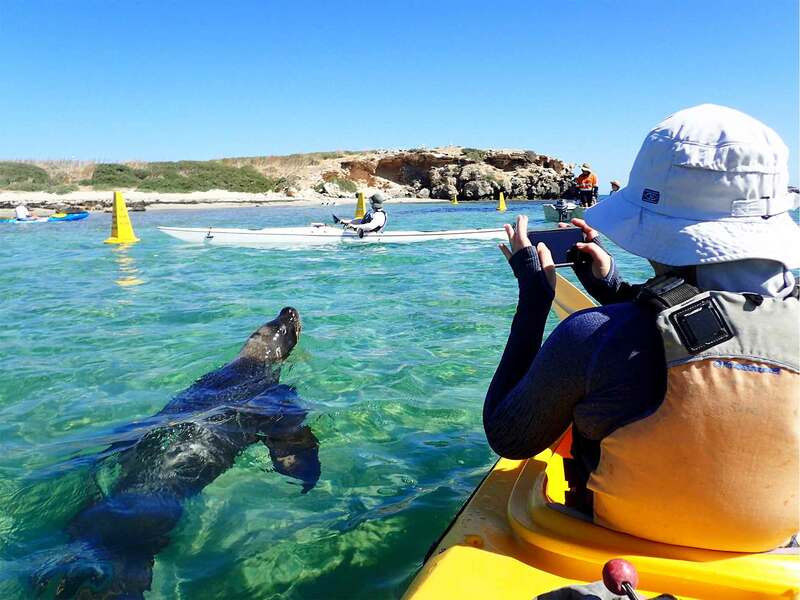 Get up close and personal with Australian wildlife in and out of the water. Take a guided walk around the island, and enjoy snorkelling in the warmer months. It's a fun-filled day out, just a short drive south of Perth, Western Australia. 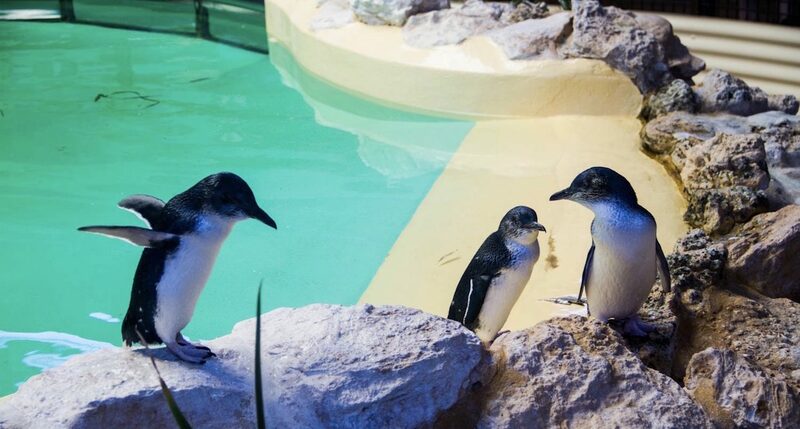 Penguin Island and Seal Island are part of Shoalwater Islands Marine Park, approximately 45 minutes south of Perth, or 5 minutes south of Rockingham. 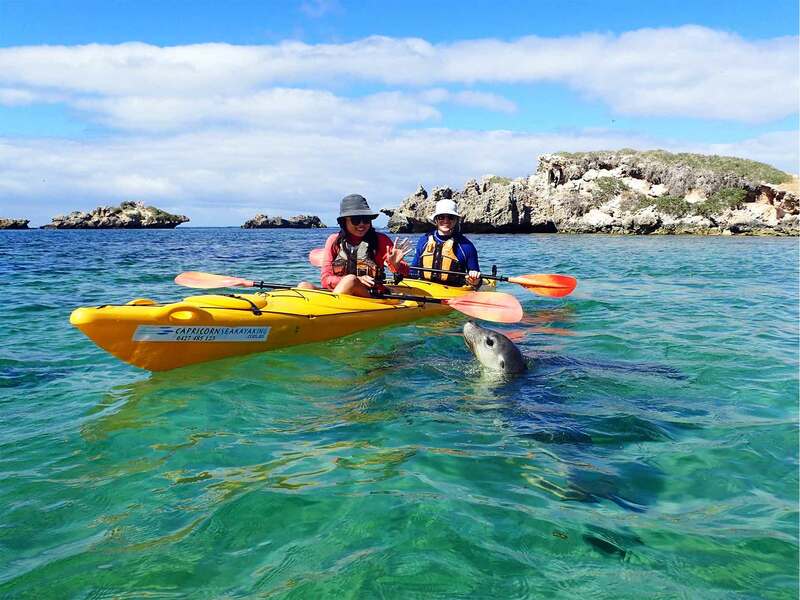 Sea kayaking is a fantastic way to explore these rugged offshore islands, which are only up to 1 kilometre from shore. Wildlife viewing opportunities abound: Australian sea lions, Little Penguins, colonies of pelicans, and thousands of other sea birds that use these islands as safe nesting places. Occasionally we encounter pods of bottlenose dolphins, and in the warm summer months we offer snorkelling in the shallow waters off Penguin Island as a way to explore the limestone reefs and fish life. Join us for a unique wildlife adventure that won't disappoint! Visiting the sea lions on Seal Island that sometimes swim and jump playfully amongst the kayaks! Dates of operation for the 2018/2019 season are September 22, 2018 to April 28, 2019. Tour operates daily from 8am to between 1 & 2pm (dependant on weather conditions and how the group is travelling) during season. Tour departure is subject to minimum numbers and weather conditions. Meet us at 153 Arcadia Drive, Shoalwater (Pengos Cafe car park, opposite the Penguin Road intersection). There is ample free all day parking. Please be there by 8am, look for our white mini-van/ute with yellow sea kayaks in the car park and introduce yourself to your guide.